With an already stellar line up announced, the 18th Annual Gathering of The Vibes Festival is thrilled to welcome Blues Traveler, guitar impresario Steve Kimock & funky keyboard godfather Bernie Worrell, Jason Crosby Band, von Grey, Twiddle, and local festival favorites The Kind Buds, to its already impressive four-day lineup. They join the current roster of Jam Festival Favorites: Phil Lesh & Friends, The Black Crowes, Tedeschi Trucks Band, Grace Potter & The Nocturnals, The Roots, Funky Meters, John Butler Trio, Galactic, Fishbone, Deep Banana Blackout, John Scofield Uberjam, Ryan Montbleau Band, Max Creek, Lord Huron, Tribal Seeds, Lukas Nelson & The P.O.T.R, Kung Fu & Dojo Allstars; and Late Night DJ Sets by Rob Garza of Thievery Corporation, and James Murphy of LCD Soundsystem. Festival organizers pointed to June 10th as the date for the next line-up reveal, and confirmed another HUGE artist addition and special guests announcements that will not disappoint. Dates for Vibes are: July 25th - July 28th, 2013The daily schedule is now available! This means fans can purchase Friday, Saturday, or Sunday Single Day Passes (VIP for Single Day is also available), or the Weekend Camping Passes (that allow concert goers to enter the venue on Thursday morning enjoy music throughout the weekend - including Late Night Sets). 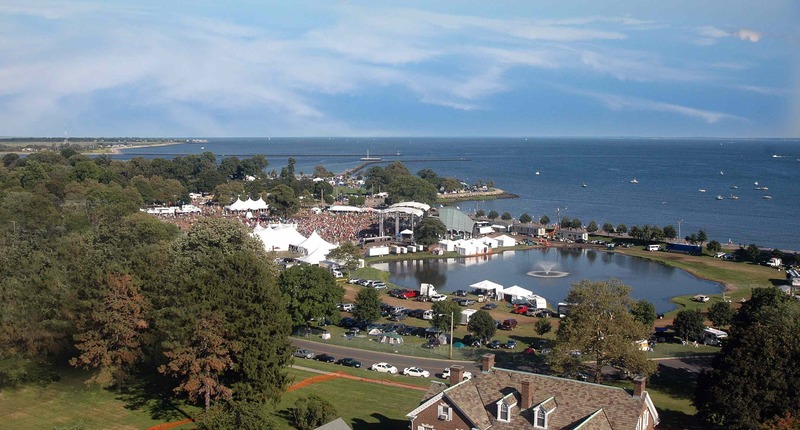 Over 40 bands will perform on multiple stages located throughout the 370-acre beachfront venue. “While the roots of Gathering of The Vibes remain deep in the ground with acts like Phil Lesh & Friends and The Black Crowes, the mainstream exposure of Electronic Dance Music (EDM) in popular culture is revealing a convergence of jam and rock bands with electronic music,” notes festival founder Ken Hays. “The addition of the Late Night DJ Sets by Rob Garza of Thievery Corporation, and James Murphy of LCD Soundsystem this year, keeps Gathering of the Vibes a festival with something for every generation. Over the last several years, we've witnessed the rise of EDM largely due to promotion by underground fans; this same phenomenon drove the music of the Grateful Dead, the Allman Brothers Band, and others in the emerging jam band scene of the 1960s.” Gathering of the Vibes continues its 18-year tradition of embracing new, undiscovered artists, by letting its 175,000+ Facebook fans select one up-and-coming band to perform in front of 20,000+ music enthusiasts. Fans are encouraged to vote by June 1st via the Road to the Vibes Contest App on the Vibes Facebook. The winner will be announced in early June. Go VIP! Single day and Weekend VIP ticket holders enjoy added perks: expedited entry and rock-star parking with easy in/out access, shaded camping areas along with catered meals, snacks and beverages, air conditioned bathroom trailers, and hot showers. Located stage left on the concert field, the massive VIP hospitality tent and viewing platforms offer exceptional stage sightlines and the opportunity to mix and mingle with artists. Single Day, Weekend, and VIP tickets are on sale now at: http://www.GOVIBES.com. - July 25th - July 28th, 2013Discounted hotel accommodations at Vibes preferred hotels are available here.Seaside Park is easily accessible by public transportation and just 50 miles from Manhattan. Fans traveling from NYC can take Metro North or the Port Jefferson Ferry. Shuttle bus service will transport festival attendees to and from the venue, local area hotels, the ferry, train and bus stations. Gathering of the Vibes is an all ages, family friendly event, offering an exclusive Family Camping area, Kids Corner, Teen Scene including interactive programing and a “School of Rock Teen Vibes Stage,” featuring musical instruction and jam sessions with Main Stage artists.Follow Gathering of the Vibes on Facebook, Twitter, or check the message boards for the most updated festival information.